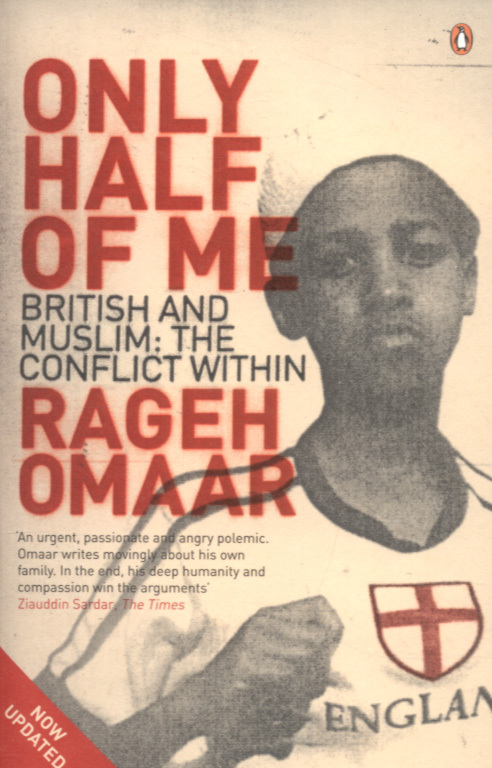 I finished reading Only Half Of Me: British and Muslim: The Conflict Within by Rageh Omaar last night. I found it a fascinating read as he describes both the personal tensions and cultural tensions he has seen over his life and the way in which society makes big assumptions against British Muslims. Following 9/11 and then the 7/7 London bombing society has become much more suspicious and negative towards British Muslims. Omaar shows how this goes beyond what should be acceptable. Having grown up originally in Somalia and then moving to Britain for a private education, he struggled to develop into an adult who straddled both his parents Islamic faith and the Western society in which he was living. The point that I found most interesting was the sub culture of wealthy upper middle class Muslims moving to the UK to provide their children with a top quality education, sometimes staying, sometimes moving back to their country of origin. In Omaar’s case with Somalia falling into civil war his family decided to stay in the UK and it was only as a reporter for the BBC that he went back to visit his homeland. Alongside his own story, Omaar details the responses of a number of people who fled from oppression in their native land. The book challenges the reader to a better understanding of Muslims coming to live in Britain. But it does leave a number of key questions unanswered – there are positive challenges for how white British people can respond better to British Muslims, whereas there seems little in response as to how a British Muslim should engage with British society. I feel as if Omaar has written part 1, but could write more suggestions as to how society could function better as a whole.